Details will be updated towards the end of April, around 30th and you can book your seat online after. If you sign up before April 30th, please note the contents may get updated. This special one-off event consists of two parts. Location: Covent Garden, London. 27 Endell st, WC2H 9BA. – open to everyone. Anyone can attend. No requirement. Venus planetary magic – hands on practice and experience for you to make a wish to change your life. Special ancient mantra to align your energy and open up your potential – to be YOU. Inner connection time – silent time to fuse the energy and integrate. You will integrate more loving and compassionate aspect of yourself. Booking and Payment – early bird offer (by door 180 pounds) for the part 1. – You need to attend both of part 1 and 2. You cannot attend only part 2. – Pre-requisite to attend. – People who received the following sessions can attend this special Galactic temple work. No exception this time. After completion, you can attend the part 2. – Quantum Block Release standard 80 min session by Kei 1-3 or 4 / previous Spirit Release session: to expel attachments and demonic energies to keep the space energy at the certain high vibration. – If you received the above sessions long time ago, you need a maintenance Quantum Block release including code cutting standard 80 min session and DNA Activation upgrade or maintenance session . Please contact for the energy assessment first. You will experience the specific Archangel’s energies and receive transmission this time to develop your and vibration to resonate with the higher dimensional energies to fulfil your life purpose. Galactic temple work and Galactic energy transmission will follow. This time, Galactic commander is planned to participate this event and you will receive the Galactic energy from the Galactic federation or commander to build your energy to help others awaken with the Galactic energy. Guided work to visit the Galactic temple and receive guidance directly from the Galactic being. Guided work to send out love and galactic energies to the entire world as service. – Please contact us first to book your seat for the part 2. – 95 pounds by bank transfer. by Paypal 105 pounds. Non-refundable. At this experiential workshop, you will learn and experience below from the esoteric and metaphysical teacher, psychic healer and master Reiki teacher, Kei, who has been practicing over 12 years with advanced metaphysical and exoteric trainings, after she left her professional financial career. – What healing and energy is about. – What is a psychic healing? – Importance of the healing energy connection and authenticity. – Hands on energy work. April 8th Mon. 18:30 – 20:00. 27 Endell street, WC1H 9BA. London. – Please book your seat from the below Paypal payment link and keep the payment paper to show by door. – After you book, it is not refundable but transferable to your friends with the advance notification to us (please email us who is coming as an alternative person, with that person’s contact email address). Online Booking deadline – April 8th 15:00. After this, please pay by cash 40 pounds by door. How are you? Such a nice day today with the sunshine. Hope you enjoy it. – how you say things and what you say. – what is your ‘interpretation’ of what other people are talking about. – what you are not communicating thoroughly for other people to be able to understand what you are on your mind. I often use NLP techniques to clarify the meanings and the intentions of other people when I communicate with them in my day to day life, not only for client sessions, and fill the communication gap to understand each other better. If other people are projecting their own thoughts and their own assumptions, rather than the ‘facts’, I clarify sometimes the ‘fact’ based on the ‘evidence’ like the CBT therapies. – what is your own assumptions, and ego which is creating them. As you might be aware, these are heavily related to this physical dimensional matters. If you receive more of the higher vibrational energies and activate/ upgrade your DNA strands, energy works and it can upgrade your energies, your way of thinking, your behaviours, etc. and can make a change in your life transformationally. Spring will start on Vernal equinox day and the Galactic DNA strands Activation together with the standard 26/40 DNA Activation, or the standard DNA activation is highly recommended at this time. .
For further details, Galactic DNA Strands Activation – limited offer. till April 18th. Mar 20th Wed’s Vernal Equinox and Full Moon Galactic Light transmission remote session also offers the 3rd eye activation, healing and clearing too. So you can be anywhere you want. School offers a couple of new things in March such as online meditation and healing, and please see below. – Learn how to heal yourself with the pure Japanese Usui reiki taught by the Japanese experienced teacher Kei. It will lead you to become a proper Reiki practitioner. It is a group seminar. Psychic reading special offer by our psychic initiates at non-refundable 15 pounds at Bond st. Please contact us. You can have 2 x 17-20 min readings. Kei will be there on site too. (Payment is from the online Paypal link here). For further information and events, please visit our website or feel free to contact us. ★　Galactic DNA Strand Activation offer together with 26/40DNA strands standard Activation – limited offer till April 18th. Since the ascension energy is getting stronger and more and more people are awakening, we offer this special limited offer in the Vernal Equinox time in March and Easter’s April, Galactic DNA strands Activation together with the standard 26/40 DNA Activation. 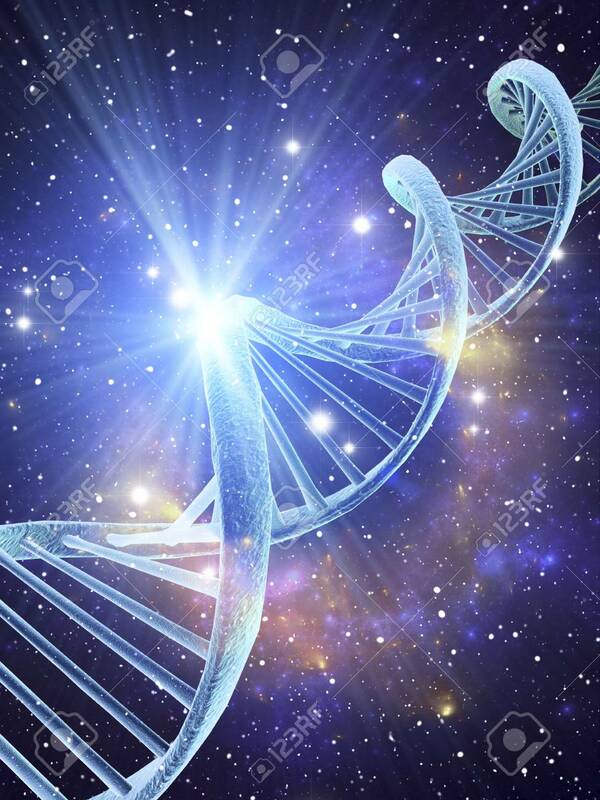 Usually Galactic DNA strands Activation are offered in the AK2 DNA Activation (52 DNA Activation, but part of the AK2 DNA Activation which is Galactic Cord DNA Activation, is offered as a limited time offer to support your awakening process. This offer does not require any pre-requisite. Having said that, if you would like to receive the full protocol of the AK 2 DNA Activation (52 DNA activation) including the Galactic DNA strand activation, please visit the AK2 DNA Activation website. For further details, please check below. Type 1 – 26 DNA Activation 80 min standard session together with the Galactic 24 DNA strand Activation – total 110 min session. Galactic 24 DNA strand Activation – partial session from the AK2 DNA Activation session. Please note that this does not activate you 52 standard non-galactic DNA strands, but up to 26 standard non-galactic DNA strands standard activation. If you would like to receive the full protocol of AK2 DNA Activation, please visit the AK2 DNA Activation website. Booking: by email – please send 3-4 preferred time and date to book. Fee: 280 pounds by bank transfer. Within 96 hours, 290 pounds by Paypal payment. Type 2 – 40 DNA Activation 140 min standard session together with the Galactic 24 DNA strand Activation – total170 min session. Please note that this does not activate you 52 standard non-galactic DNA strands, but up to 40 standard non-galactic DNA strands standard activation. Fee: 410 pounds by bank transfer. Within 96 hours, 415 pounds by Paypal payment. – Please arrive 5 min before and the session can be conducted as scheduled. If you are late, only partial session may be conducted depends on the time allowance. – Cancelation policy – within 72 hours, 50 % charge, within 48 hours, 100 % cancelation charge and schedule change fee will be charged, so please email us soon if you need to cancel or change the booking time and date. – no show or late arrival to the session room won’t refund you the fee. This is a live and online guided Meditation. Please see below and book online to join us. – Please note that this is not face to face. Would you like to gain peace of mind and tranquillity further and have a happier life? Our life can be fantastic with lots of various opportunities in the fast pace modern life whilst some of us may suffer from anxiety and stress related to work, career, relationship, income, etc. This is your opportunity for you to join the online guided meditation and group coaching session to gain peace of mind and feel the benefits of its emotional state. Anyone can join this anytime from anywhere so this is very handy for anyone. You will be muted to join or leave this anytime so it will not affect the process of the guided meditation and coaching group session even if you are late or leave early. At the coaching session – focus will be on how to reduce stress and anxiety. Medication and GP consultation is great to have as a support but if you are in that mental and emotional state for long time you may want to ask a question to yourself how can you do things better to make a change? If you are interested in the face to face group meditation and energy session, please check our psychic and awareness group event or what on page, and you can join other events. Our meditation offers the energetic work on your psychology and emotions by a guided meditation. Let go unwanted patterns, thoughts and emotions. Regain your power, control, and repair/upgrade your self-image and your self-esteem. Short group coaching session (about 20 min)- how would you like to ease your condition or symptoms and move on in life? short QA time, if time allows. *Important – Before signing up, please visit the coaching website and understand how it works. – Please pay from the PayPal link below. You can attend both or either one of them. – Early Bird available. On the online meditation day, it will be 30 pounds to join. – Please note there will be no refund and no transfer to the next event and such unless we cancel the event. Deadline for online booking: Wed Mar 13th 16:00.
you will receive an email from us in prior, 2-3 days before of this event, and please download the free Zoom app in advance to attend. On the day, please find a quiet place and join us online. 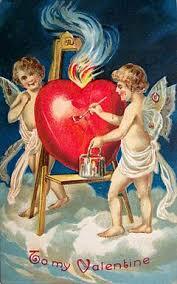 Yesterday, St Valentine came and I have passed on his Valentine’s message to attendees of the reading. Whether you are a couple or single, let’s share your love with the loved ones and enjoy the energy of the week. Feb 4th’s Angelic and Galactic Temple work was fabulous and participants were very happy to receive and process the energy they received. That was a dimensional work and they experienced it. I also felt the very strong sensation through my entire body as the angelic realm was fully opened up. Hopefully you can participate it next time. I see more people who are “ordinary people” coming up to me and sharing me their spiritual secrets. Many of them feel spiritual things are tabooed in their environments and they could not fully talk about it or explorer before. They had their awakening and it seemed they felt comfortable talking about it with me as I don’t care and talk about it freely now. Over 14 years of my spiritual development, I went through a similar process as I worked for the conservative financial company and spiritual people were prejudiced in that environment, literally. So at the beginning I was in a ‘closet’ and started receiving trainings quietly. Some people were happy to stay or become friends with me, or some other people walked away as they cannot accept the spiritualism, but who cares? Over 14 years, it is much more accepted now and psychic healers are not tortured and get killed in this modern age. It is the time of awakening your divine essence and connection with the higher dimension. As you read in the last newsletter, it is very useful if you properly develop your psychic senses and intuition as it can give you guidance and you can avoid traps, not only helping others. I cannot help sensing people’s emotions and thoughts even in my day to day life as it is my built-in essence however, it needed to be developed properly with support. – Just attending seminars, would not develop it. – Just practicing readings, even many times, would not develop properly. It is not only reading, and it is not only skills and you need to develop so many other elements along with it. If you want to become a quality psychic, there would be even more you need to be aware of. Skills you will learn and the energy you will experience at our workshops, will raise your vibration as it is combined with the energetic work in prior the development time. On Feb 18th, there will be the online Zoom free introduction of the psychic reading and awareness development workshops starting from Mar 2nd and 11th. Come and join us to develop your senses and utilise it personally or professionally. Anyone can attend. In March, there will be Reiki seminar level 1 on 1st and 16th. Eventually level 2 will be offered as well. I meet so many people who said who learned Reiki but when I ask them about the contents, what they are telling me is not the original Reiki and does not have the original pure Reiki teachings, its energy and contents. It is a Westernised, diluted and modified ‘Reiki’. It’s a different energy and different concept. If you would like to become a Reiki practitioner, come and join our original Japanese Usui Reiki seminar and become an effective Reiki therapist and more. For further information, please have a look from the link from here. You can also read testimonials who attended our seminars. Older generation tells me about their observation where the way people date and get settle down is massively changed from their generation. I agree, good and bad. In this modern day, there are many opportunities available meeting people for dating, friendship, relationship, marriage however, are you repeating the similar patterns and do you shed tears without knowing what is wrong? I know many people who go out, meet people, date, break up, meet, date, break up, repeating the same cycle again and again and telling me ‘nothing is changed’ and cannot find the One. In order to have a happy change and outcomes, psychic consultant can be your help. Skype, phone, face to face session is available. You can book a Psychic Reading Consultation. * In March, on 1st and 16th, Reiki seminar 1 is repeated again. – 2nd and 11th – Psychic development Open class . ★Feb Newsletter – How is your intuition and connection? First day of the spring is coming soon, next Mon even though the weather has been really freezing cold with snow. How was your month of Jan? Lots of unexpected things happened? How are your ”sensors or intuition” for a day to day life? You may be surprised to hear that everyone has a potential to develop their psychic senses. HOW CLEAR and CONNECTED are you? If you are clearer and more connected, you can get a guidance from the higher dimension for various things including a day to day matter, which helps a lot and you can utilise your time and energy better. – My guide told me I don’t have to return a book of the working memory and I found out later that the researcher I’ve been working with, decided to add the working memory tasks to the project we’ve been working on. – Couple of ‘professional’ looking guys approached to me hiding their situations and tried to deceive me but my guide was giving me the brief truth and warnings in advance, so I didn’t fall in a trap. – I had a feeling good opportunity was coming and it was offered within a couple of days. – I sensed a danger by smell and could avoid a trouble. These are just day to day examples and anyone can develop their own senses. Can you see how beneficial and helpful it is? How does it change your life if you properly develop your senses and intuition? Come and join our events and classes to develop it. As I had my own transformation over 12 years, you would be able to develop it with support. Let’s be honest, everyone loves beautiful, gorgeous, rich, attractive, smart and lovely things isn’t it? Most of the time people are genuine and they communicate with others with genuine, kind intentions, however, it may not be all the time. Since we have ‘pre-conceptions’ or ‘distorted views’ on things, companies, people, certain races, cultures, religions, etc., we may get disguised by ‘the cover’ and miss “what is not presented or said”. What can you do to see the whole situation or ‘the truth’? If your sensors are developed, things would be far way easier and things would flow efficiently with joy and more time. If you manage your time, you can manage your life. In Feb and March, there will be some events and seminars offered to develop your senses and to gain the proper authentic connection with the higher dimension, Hierarchy of Light and Galactic universe such as the Japanese Usui Reiki seminar. In March there will be an open psychic development class for all levels offered. If you are curious or want to practice, come and join us. * In March, we are also planning the reiki seminar, let me know f you have any preferred dates to attend. – Psychic development Open class – 4th Mon night is planned. Or tell me your preference. – Reiki seminar 1 and 2 – TBC.